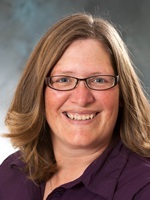 Pamela Reints provides administrative support for Northwestern's nursing department and helps nursing students learn and use the technology required for their careers. She has a master's degree in education, with a concentration in assessment and evaluation, and has helped the nursing department chair with developing and implementing the assessment outcome plan for the nursing program. She collects, analyzes and reports assessment data for accreditation. She also assists nursing faculty in using instructional technology tools to develop course curriculum and assessment. Prior to joining NWC's staff, she worked in business as an administrative service specialist, accounts payable clerk, purchasing agent, and inventory control specialist.